There were 77 new or updated Academic Core titles released in the year 2014. If you subscribe to this package, see a full title list in your Admin account (log-in required), or check it out on our corporate site. A comprehensive and authoritative reference to a huge range of American musical styles, from Barbershop to Bluegrass and from Ragtime to Rockabilly. Documents the universe of fashion from the mid-18th century through the late 1990s in short entries with many illustrations. British Qualifications is the definitive guide to every qualification offered in the United Kingdom. Business: The Ultimate Resource offers practical and strategic advice for anyone doing business today. It is an essential desk reference for managers, MBA and business students and for small business owners worldwide. This exhaustive four-volume set is the definitive reference on the history of trade in all time periods. It traces the historical and contemporary interaction of trade, commerce, and culture in fascinating detail. QFINANCE: The Ultimate Resource offers articles with key themes in over 250 best practice and thought leadership articles. This edition comprises key perspectives on environmental, social, and governance factors -- essential for understanding the long-term sustainability of a company. From agency theory to power and politics, this indispensable guide to the key concepts of organization theory is your compass as you navigate through the often complex and abstract theories about the design and functioning of organizations. Debrett's People of Today is a comprehensive study of contemporary Britain's most notable and successful people. It contains biographical details of people from the entire spectrum of British society, including Tony Blair, Paula Radcliffe and Benjamin Zephaniah. The selection of entrants is made by the editorial staff of Debrett's and entries are reviewed annually to ensure accuracy and relevance. Entries include details of career, education, family, recreations and membership of clubs as well as contact addresses. An additional feature is the correct style of address to be used when addressing correspondence to an entrant. Preserves the lifetime accomplishments of many world history-makers. A directory of biographical information on America's most notable men and women from every field of endeavor. Provides instant access to personal profiles - reviewed, revised, and proofread by the listees themselves - providing guaranteed accuracy and immediacy. Newly updated, The American Heritage(R) Abbreviations Dictionary, Third Edition, presents some 20,000 terms that appear in text messages, chatrooms, Web sites, sports statistics, travel brochures, airports, personal ads, and countless other places in a world where shorthand is the true universal language. The American Heritage Dictionary of Idioms explores the meanings of idioms, including phrasal verbs such as "kick back", proverbs such as "too many cooks spoil the broth", interjections such as "tough beans", and figures of speech such as "elephant in the room". This fifth edition has entries for over 10,000 new words and terms, offers the latest research on word origins and meanings, and provides guidelines on accurate usage. This dictionary is a handy reference covering everyday terms used within the tourism, travel, leisure and airline sectors. The dictionary provides an overview of terminology used within these global industries, complete with explanations for industry-specific terms and helpful annotated diagrams to illustrate travel related information, such as seating plans and airline tickets. Although the book provides a daily chronicle of the combat, it is written in narrative form to give readers some continuity as they move from skirmish to skirmish. During the course of the saga, the book also chronicles the life spans of more than 600 Union and Confederate vessels, documenting when possible the time of each vessels acquisition, commissioning, major engagements, and decommissioning. Seven appendices provide lists of prominent Union and Confederate officers, primary naval actions, and Medal of Honor recipients from 1863 to 1865. 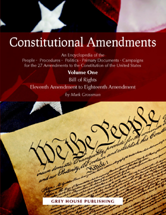 Thoroughly updated and greatly expanded from its original edition, this title is the go-to comprehensive resource on the legal, social, psychological, political, and public health aspects of guns in American life. The Evolution Wars draws on history, science, and philosophy to examine the development of evolutionary thought through the past two and a half centuries. A chronology of world history through 2013. The Reader's Companion to American History offers a fresh, absorbing portrait of the United States from the origins of its native peoples to the nation's complex identity in the 1990s. Covering political, economic, cultural, and social history, and combining hundreds of short descriptive entries with longer evaluative articles, the encyclopedia is informative, engaging, and a pleasure to read. This edition of Collins French Dictionary & Grammar has been revised and updated to offer extensive and relevant coverage of today's English and French, with thousands of phrases and examples guiding the user to the most appropriate translation. This is an encyclopedic dictionary of close to 400 important philosophical, literary, and political terms and concepts that defy easy--or any--translation from one language and culture to another. Drawn from more than a dozen languages, terms such as Dasein (German), pravda (Russian), saudade (Portuguese), and stato (Italian) are thoroughly examined in all their cross-linguistic and cross-cultural complexities. The volume is aimed at readers who have an interest in some aspect of language science but wish to learn more about the broad range of ideas, findings, practices, and prospects that constitute this rapidly expanding field, a field arguably at the center of current research on the human mind and human society. This comprehensive handbook is an authoritative survey of second language acquisition (SLA). Its multi-perspective synopsis on recent developments in SLA research provides significant contributions by established experts and widely recognized younger talent. Much loved for its wit and wisdom since 1870, Brewer's Dictionary of Phrase and Fable takes you on a captivating adventure through its trademark blend of language, culture, myth and legend. Reviews current knowledge of the character and operation of theatres in Shakespeare's time, with an explanation of their origins. Coverage includes the practices of Elizabethan actors and script writers: methods of characterization; gesture, blocking and choreography, including music, dance and fighting; actors' rhetorical interaction with audiences; and use of costumes, stage props, and make-up. Commentaries written by Harvard physicians on the questions that people face every day related to fitness, nutrition, parenting, heart health, mental health, men's and women's health. Single-topic, in-depth reports from Harvard Medical School. In-depth descriptions of the most common diseases, symptoms, procedures, and tests written by Harvard Medical School faculty members. Harvard Medical School Special Health Reports provide thorough insight into common conditions, diseases, and wellness issues. Each report focuses on a specific health concern and provides helpful tips for readers to further understand how to address and improve their health. Designed for use by the entire dental team, Mosby's Dental Dictionary includes more than 10,000 terms and 300 full-color illustrations. Key Concepts in Healthcare Education is a guide to the key theories, issues, and practical considerations involved in healthcare education in the 21st century. It is aimed at those studying to be educators in both academic and practice settings, as well as supporting the continuing professional development of more experienced lecturers and practice educators. The book can be used as a reference source, a platform for further study and an essential text. This interdisciplinary clinical reference encompasses hundreds of current entries on a broad range of topics related to geriatrics and geriatric care across multiple health care disciplines. The third edition reflects the many advances in geriatrics that have occurred since the publication of the second edition in 2006. It contains the updated, evidence-based contributions of more than 260 nationally recognized geriatric healthcare professionals regarding elder-care concerns relating to society, community, caregiving, and the individual. Webster's New World Medical Dictionary, Third Edition will help you understand and communicate your medical needs when it matters the most. Written by doctors and the experts at WebMD, this edition includes 8500 entries, including 500 new terms, a vitamin appendix, and a companion website to give you access to medical language. This book describes the scientific study of psychological disorders. As well as detailing mental disorders, it examines social attitudes toward them and treatments that have been used through the centuries. Other important issues covered include the way in which the number and type of recognized mental disorders constantly changes, and how psychological difficulties affect a child's learning and social experiences. This book discusses the nature of developmental change from conception to adulthood. It considers the most important theories of cognitive development and examines the ingenious methods developed to measure cognitive abilities in young children. It also investigates perceptual, emotional, social, and memory development. This book explores the workings of the brain, including its ability to identify and interpret important information while discarding other sensory input, and how it stores and retrieves memories. It investigates past and present theories of learning, how we develop language skills and process language, problem solving, and the sources of creativity and inspiration. This book looks at how our understanding of the brain and mind has developed. It describes in detail the workings of the brain, and investigates how our perceptual systems and the brain work to interpret the sensations we experience. The concept of mind and consciousness, and the role that emotions play in both mental health and our everyday lives, are also discussed in detail. This book examines people as individuals and as social animals. It analyzes the notions of personality and intelligence and considers how people relate to and communicate with each other and society. The chapters discuss the types of social interaction and the rules that guide them, as well as the feelings and thoughts that individuals have about society, social situations, and the people around them. With more than 5,000 entries totaling over a million words, this is the most comprehensive and authoritative dictionary of Buddhism ever produced in English. The Princeton Dictionary of Buddhism bridges the major Buddhist traditions to provide encyclopedic coverage of the most important terms, concepts, texts, authors, deities, schools, monasteries, and geographical sites from across the history of Buddhism. An introduction to the discipline is followed by almost 1,000 entries covering key terminology, events, places, dates, topics, as well as the major personalities in the history of the discipline. The Princeton Encyclopedia of Mammals is the most comprehensive and accessible reference book on mammals available. Unsurpassed in scope and stunningly illustrated, this book covers every known living species, from aardvarks to zorros. This brand-new edition has been completely revised and updated. With over 4,500 A-Z entries, 450 full-color photographs and drawings, over 150 fascinating feature notes, and full-page tables and charts, it is the most current and comprehensive student science dictionary available. This volume is a comprehensive reference work on the life, labors, and influence of the great evolutionist Charles Darwin. The wealth of information it provides about the history of evolutionary thought makes it a crucial resource for understanding the controversies that surround evolution today. 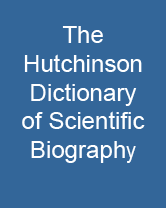 The Cambridge Encyclopedia of Human Paleopathology is a major reference work for all those interested in the identification of disease in human remains. The Princeton Guide to Evolution is a comprehensive, concise, and authoritative reference to the major subjects and key concepts in evolutionary biology, from genes to mass extinctions. Contains extensive information on all occupations. This is the first full length dictionary of Leisure Studies. It examines the key concepts, assesses the work of central figures, and helps students zero-in on essential issues and conceptual distinctions. This exhaustive and compellingly readable reference work offers alphabetical entries on every aspect of the subject, including descriptions of hundreds of individual legends and their variations, legend themes, and scholarly approaches to the genre. Introduction to Security has been the leading text on private security for over thirty years. Celebrated for its balanced and professional approach, this new edition gives future security professionals a broad, solid base that prepares them to serve in a variety of positions. This title poses sociological questions about the formation of intellectual fields and their social relations, and offers an in-depth, historical study of one of the largest specialities of the discipline of sociology - the sociology of health and medicine - across three countries: the United States of America, Britain and Australia. This book provides a clear, focused road map to the study of the body in society. It defines, explains and applies core topics relating to the human body demonstrating how we approach it as a social phenomenon. Key Concepts in Early Childhood Education and Care, Cathy Nutbrown's second edition, explains the key ideas and issues in Early Childhood clearly and concisely, keeping students up-to-date with the latest developments in the field. A concise yet wide-ranging exploration of the cultural underpinnings of non-biomedical healing. Indispensable for students of diplomacy and junior members of diplomatic services, this dictionary not only covers diplomacy's jargon but also includes entries on legal terms, political events, international organizations, e-Diplomacy, and major figures who have occupied the diplomatic scene or have written about it over the last half millennium. Selected entries from the Wisden Cricketer's Almanack featuring biographies of the cricketers of yesteryear. With engaging and artfully presented text, including sidebars on media mavens throughout history, social gaffes, and archaic manners, this book is as entertaining as it is informative. Readers delve into cultural similarities and differences through lively passages, colorful photography, and sidebars on unique history. This encyclopedic dictionary offers a definitive compilation of information on the art and science of stereoscopic 3D, including still and moving images; film and digital image acquisition; production, post-production, distribution, and exhibition; and human visual perception. This updated edition includes the most recent terms relating to constantly expanding computer and internet technology. More than 3,200 terms and definitions deal with -- practical guidance for business software users; computer security, law, and ethics; computer programming, with examples in several computer languages; internet culture and latest developments.